Coffee and tea have gotten a bad rap, largely because of their caffeine content. But it turns out your morning java may not be so bad after all, and it might be the caffeine that you have to thank. A new study revealed that, in mice fed a high-fat diet, caffeine stimulates the metabolization of fat stored in liver cells, leading to a reduction of fatty liver in the mice. In the US, an estimated 30 percent of adults suffer from non-alcoholic fatty liver disease (NAFLD), and the research suggests that drinking the equivalent caffeine intake of four cups of coffee or tea a day may help prevent NAFLD in humans, as well as slow its progression. NAFLD often has no symptoms but can lead to liver swelling, scarring (cirrhosis) and even liver cancer or liver failure. The best known treatment is leading a healthy lifestyle by eating right, exercising and losing weight if you’re overweight or obese. If you enjoy coffee or tea, this might be one more useful strategy to help keep your liver healthy. Interestingly, other research has also shown that moderate coffee or tea consumption may be beneficial. Coffee and tea are rich sources of antioxidants and studies have linked coffee consumption, for instance, to a reduced risk of diabetes, dementia, certain cancers and suicide, as well as increased metabolism. 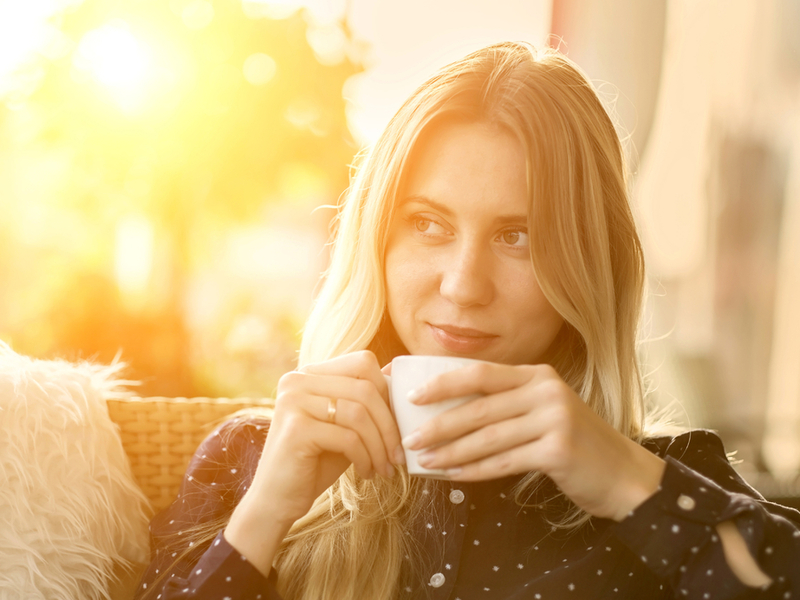 Of course, drinking coffee and tea is not the only way to support your liver health. We’ve written previously about the top 10 ways to protect your liver, and you can review them now.